Learn a HUGE Key to mastering creativity! Learning many techniques is a typical way to approach scratching. Although it is good to expand your skills by learning a multitude of techniques, you are likely to hit a wall in your creativity if this is your only approach. If you are always looking for new techniques to add to your skill set, you will probably suffer greatly from feelings of overwhelm. When you learn a technique it is easy to think you have it down and now you're ready to move on. However, it is much wiser to invest time focusing on ways to expand that technique into as many options as possible. When you truly do this you will be able to always come back to that technique and continuously pull more out of it. 'The Definitive Guide To The Tear Scratch' is a course that will teach you how to turn one technique into endless variations.Other instructional courses show you how to do many techniques, but they don't show you how to get the most mileage out of any single technique. This course will allow you to never exhaust the possibilities that the tear scratch has to offer! • Over 30 variations of the tear, from the most basic to the most complex tear scratch! • The key fundamentals of how to perform the tear. • How to apply the tear in a variety of situations so you can make a strong and memorable impact on your audience. 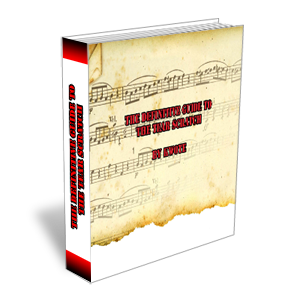 • How to create endless variations of the tear scratch so that you NEVER run out of possibilities with it! • How your new found creativity will easily apply to every other technique you know or will ever learn!! "I was hesitant to purchase the tear scratch guide as I worried it might be too advanced for the level I was at, and as a result it might just frustrate me to know that such a core technique was beyond me. In the end I decided that this frustration was something I needed to accept as part of the learning process if I wanted to improve. As it turned out the course is designed with all skill levels in mind, so frustration wasn't really an issue. One of the main benefits I found with the 'The Definitive Guide to the Tear Scratch' is that it makes you a lot more honest and analytical about your approach to practicing scratching. The insights you gain create fresh motivation to progress and improve. Kwote breaks down every element of each scratch clearly and concisely, which is very useful when you start applying the techniques, as you can use a step by step approach when practicing if you're struggling to nail a particular scratch. The course is also well structured, starting with basic no fader tears before moving on to the intermediate and more advanced techniques. Apart from the detailed instructions, one of the most beneficial aspects of the course is that it will change the way you think about scratching. Most advanced scratches are in essence a sequence of individual techniques and once you understand this it opens up a lot of options for new and interesting combinations. The course also pushes you to consider the effect of your scratching on the audience, something which I hadn't really considered before. For example, if you want to build drama and then calm things down you might start with a fast, aggressive technique before switching to a slower, more melodic fading tear. Kwote also encourages you to look at other genres, instruments and artists to see how the tear concepts he teaches are derived from music outside of turntablism. It's good to expand your musical horizons, as most of the time I've tended to look at other scratch dj's for ideas and inspiration. No matter what level you are currently at you will benefit from reading 'The Definitive Guide To The Tear Scratch'. It's something you can refer back to again and again for guidance, motivation and ideas. Also in addition to the excellent explanations of the many techniques covered, there is a broader underlying point about how to integrate musicality and emotion into your scratching. This will improve your scratching even if you are already at a decent technical level." "I originally learned about the tear guide on Kwote's Facebook feed and was frankly a bit skeptical about it. I didn't realize how much there really is to the tear scratch and as a result I really underestimated the benefits of learning more about it. I distinctly remember asking myself, "Does the tear scratch really need its own book? Is this a gimmick?" I was dead wrong! As a result of studying the guide I realized that the tear scratch is foundational to learning other scratches. The skills you need to have to be able to execute tears are critical to being able to pull off more advanced scratches. Sometimes taking a step back is necessary to take several steps forward. 'The Definitive Guide to the Tear Scratch' has really propelled my scratch vocabulary quite a bit and I literally feel like every other area of my scratching from technique to speed to improvisation has benefited. Kwote's approach to teaching scratching in the tear guide ultimately led me to taking lessons with Kwote, which has been an awesome decision! The tear guide got me more focused on fundamentals and practicing in isolation with a deliberate focus, instead of doodling around and just aimlessly jamming. The tear guide also opened up my awareness to expressive possibilities of even a seemingly basic scratch, which is something easy to overlook if you are just trying to learn the fastest and trendiest scratches. YouTube is full of videos of people pulling off crazy, fast technical scratches and flexing their chops so it's hard not to get sucked into that. This guide is a fresh reminder that scratching is also about lyricism and melody and not just speed. I had been a musician for close to 20 years before I got this guide and started taking lessons with Kwote. If you've ever been a student of any instrument or area of music then you will especially appreciate the approach taken in the guide and in Kwote's teaching style and professionalism. Kwote always puts progress, positivity, and self expression first and it really makes a difference!" "I was unsure if the tear scratch guide would be a valuable investment because I didn't realize the depth and breadth the course had to offer. Also with the sheer amount of available tutorials and how to's on scratch techniques available via Youtube and other mediums, I wasn't confident that I would get something more valuable or new out of the course. Now that I've studied 'The Definitive Guide to the Tear Scratch' course I have improved my all around scratching ability and not just my tear technique. I have since discovered new ways to apply technique and movement to all manner of scratches as well. This course has really opened my eyes to how versatile the tear actually is. I have also found as a result that my record control has greatly improved. I liked the way that Kwote breaks down a wide range of scratches to include and combine as part of multiple tear variations. This opens up a whole new level of learning which will benefit you as a scratch dj. I also learned about how important the tear is and gained a greater understanding of how it fits into the scratch vocabulary. Additionally, I learned from the course about the benefits of progressive learning and how it will help you with discipline, which is something that can be hard to follow at times when learning an art form. This course offers something for scratch dj's at all levels. If you think you know everything about scratching you may be pleasantly surprised about the endless variations that you may not have discovered yet. This makes 'The Definitive Guide To The Tear Scratch' an indispensible learning tool. I thoroughly recommend 'The Definitive Guide to the Tear Scratch' as it will open your mind to a whole new level of scratch techniques and help you to become a better all around scratch dj. I thought the course was brilliantly and articulately written and easy to follow due to the nature of Kwote teaching the reader everything in progressive steps whilst also ensuring you work on each step and become competent with them before advancing through each level of the course. For anyone looking to improve every aspect of their scratching ability and learn new techniques this course is a necessity!" "I didn't know if it would really be worth buying Kwote's scratch course because I thought I may have already found similar information on the internet. Fortunately, Kwote provided a free preview of the course, which helped me realize that what was being taught in the Tear Guide is not public knowledge. Once I bought the course and began reading through the guide, I found that I was not being effective and ignoring some very important principals when scratching. I really liked how Kwote explained the psychology and mindset required for being very expressive and how it applies to scratching. The turntable is a unique instrument and it requires unique teaching. I was able to get inside the mind of a professional musician. 'The Definitive Guide to the Tear Scratch' opened up my options and changed my opinion on scratch music for the better. The examples throughout the course were very easy to follow and impactful. Not just filler! I would recommend this course to anyone that wants to learn or improve their scratching. Kwote is different from all scratch dj teachers online. He breaks everything down in an easy to follow way with excellent, highly detailed examples. Also, Kwote actually scratches and is current on all new techniques available. Bottom line, this is vital information not available anywhere else!" • Effective practice strategy and why it will speed up your learning curve dramatically. • Why using a variety of pitch ranges significantly adds to the expressiveness of tears and which pitches are better for creating certain moods. • The connection between tearing slowly and rapidly and why understanding this connection will help you to avoid unnecessary challenges when working to build speed. • How to create high quality phrases and how to adjust those phrases to maintain their effectiveness in completely different situations. • How to improvise with purpose and why doing so will make you sound more compelling as a result. See for yourself. Take the time to go through the entire course and if after 90 days you’re not satisfied, use my ‘No Questions Asked Guarantee’ and receive a full refund. Just send me an email and I’ll be glad to refund your money. If you buy the premium version you get an amazing report: 'Thumb Tapping – Unorthodox Technique For More Effective Tears’ (worth $30, but quite frankly priceless). A very rare and unique, but blatantly superior method for executing tears at extreme speeds with little to no strain. • How to tear fast much, much easier, even for very long periods of time. • How to create a flare like sound without use of the fader and only one hand. • Why super fast clover tears will become much, much easier to perform, as traditional clover tears at high speeds are tremendously strenuous and require tons of arm tension that thumb tapping doesn't require at all. • Further ways to think outside the box and stand out from the average scratch dj. 'The Definitive Guide To The Tear Scratch’ will help take your creative capabilities to new heights and enable you to never run out of ideas. Don’t just dream about the ENDLESS possibilities that the tear scratch has to offer. Get started today! "I thought the price was too much for an ebook with less than 50 pages, but when I started working with Kwote's Tear Guide, I found it much easier to improvise and create my own combos, which seemed impossible a few months ago. Kwote saved me atleast a year of trials and errors and improved my concept of scratching as a jazz musician. The most helpful thing in 'The Definitive Guide to the Tear Scratch' was all those small things or details you don't hear about, or you figure out really late in your career. Kwote wants you to learn all the little secrets so you can build upon them fast and achieve your vision of musicianship. Kwote taught me to be patient, practice consistently and to improvise without the fear of sounding bad. It's hard to learn how to scratch if you don't have a proper mindset and step-by-step guidance on what's important. Kwote's ebook helps you learn all those little things that will take you to another level." "I must say that the way Kwote broke down this book was SWEET! Really opened up my eyes into the intricacies and concepts of how powerful the tear scratch really is. I was hesitant to get it because I felt it was something I already knew in the back of my head, but the way Kwote puts it to paper and guides you to understand how powerful the tear concept is, is invaluable in itself! Really made me understand and appreciate that power and apply it to the way I approach handling my vinyl." "As a longtime turntablist and hip-hop artist, I was initially unsure how much value I would get from reading this ebookdue to me already being aware of a numerous array of scratch techniques. However, I found Kwote's ebook to be an excellent resource of information bringing to my attention phrases and techniques I didn't know about! I didn't realize there could be so much information and value crammed into the concepts surrounding the tear scratch. The techniques and concepts are clearly explained and described in a way that you can implement right away regardless of your level and current ability and because it is very clearly written, it allows you to focus on exactly what you need to do so your skills can improve as efficiently as possible. Watching videos can be good, but they often only teach you how to copy what the performer is doing. However, 'The Definitive Guide to The Tear Scratch' will give you the tools to not only perform the techniques described, but also the steps necessary to perform the techniques in your own individual way, allowing you to express yourself uniquely and more clearly. This is something I believe is becoming more and more important with the increasing number of Scratch DJ's arriving on the scene. I would certainly recommend Kwote's course 'The Definitive Guide to The Tear Scratch' to any serious turntablist looking to take your scratching ability to the next level!"